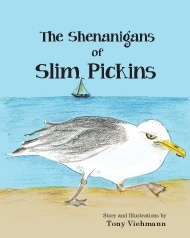 Slim Pickins is a naughty young seagull who arrives at the beach every day and is an expert at helping himself to food out of beach bags. The families attempt to teach Slim proper “beach manners,” but Slim outwits them every time! One day Slim arrives with a beautiful , well-mannered gull Daisy, and everything changes. 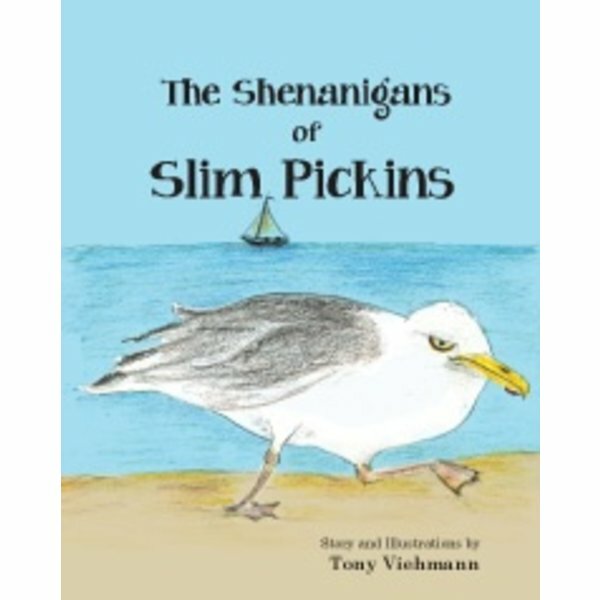 A delightful tale for children of all ages, with charming illustrations by the author, The Shenanigans of Slim Pickins is a 44-age story set in beautiful Cape Porpoise, Maine. It makes a wonderful souvenir for anyone who loves the coast of Maine.